This sophisticated, moisture-boosting, decadently rich night cream nourishes dry skin back to optimum health. Combats skin dryness and enhances barrier function overnight with a controlled and powerful delivery system that is designed to attract, hold and distribute moisture through a advanced system of Ceramides, Humectants and Emollients. Infused with Stem Cells derived from apples, peptides and a broad-spectrum antioxidant complex, including Green Tea Polyphenols, Resveratrol and Caffeine, this soothing, paraben-free and hypoallergenic moisturizer helps guard against environmental damage while helping to reduce the appearance of fine lines and wrinkles in mature skin, leaving skin looking supple, firm and collagen-rich. Suitable for sensitive skin and those on retinoid therapies. Suitable dry, normal, combination and sensitive skin types. 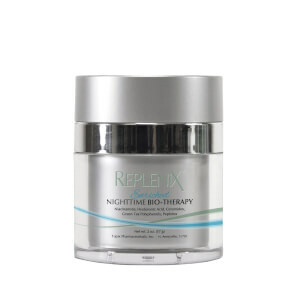 Helps repair skins barrier function. Luxurious formulation soothes and hydrates skin. After cleansing the skin, apply to the desired area (face, neck, décolleté) in the evening or as directed by the doctor. Purified Water, Cyclopentasiloxane,Sodium PCA, Glycerin, Caprylic/Capric Triglyceride,Polysorbate-60, Cetearyl Alcohol, Yucca Glauca RootExtract, Dimethicone, Cetearyl Glucoside,Polyacrylamide, C13-14 Isoparaffin, Laureth-7,Ceramide NP, Ceramide AP, Ceramide EOP, SodiumHyaluronate, Phytosphingosine, Cholesterol, SodiumLauroyl Lactylate, Camellia Sinensis (Green Tea)Polyphenols, Malus Domestica Fruit Cell CultureExtract, Squalane, Ceramide 2, Tetrapeptide-21,Resveratrol, Bisabolol, Caffeine, Lecithin, GlycerylStearate, PEG-100 Stearate, DimethiconeCrosspolymer, Carbomer, Xanthan Gum,Phenoxyethanol, Sorbic Acid, Caprylyl Glycol,Disodium EDTA, Fragrance. I use the first one down to the last little dab, and ordered a second jar. I use for P.M. before bed after cleaning my face & neck really well. It feels so nice as I massage it in, goes on really well, not greasy, it absorbs very fast and NO residue on my cotton pillow cases either. The aroma is very faint & delightful, pleasant to me. I bought this cream primarily to fight discoloration, and to help with increasing firmness.. After using this for 3 weeks, I can report that the discoloration I have is fading, and my neck and face seem firmer. I also like the dispensing method. The cream has a push down lid which gives you enough for your face, chest, and neck. This is great as it prevents contamination that can be experienced when putting your fingers to a jar every day. I've searched and searched for the perfect night cream. One with great ingredients and great results that provides moisture. I was specifically looking for something with ceramides and hyaluronic acid. My skin is super sensitive, dry, dehydrated, adult acne prone, and I'm pretty sure I have rosacea. I started using this with retinol and now with retin-a. It is working beautifully to hydrate my skin. It absorbs well and is not at all greasy. The container is ideal! You only pump out what you need, product is not exposed to light or air and fingers do not contaminate it. Here is what impressed me the most. I work evenings a few times a week getting to bed around midnight and waking up early. I am usually tired in the morning and look it! After using this cream, while still tired, I looked rested and my skin looked great. Amazing results and I highly recommend. 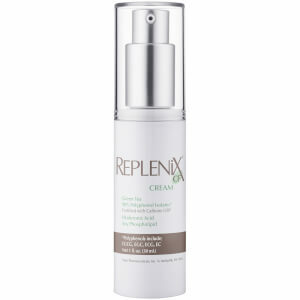 My skin feels very moisturized when I use this after the Replenix 10X serum. It is not greasy. It absorbs well and there's no odd smell. I used Prevage night cream (still use daytime moisturizer with SPF from Prevage) previously and it is great but pricey. This product works about as well and is less expensive. I'm 38 and this works wonders on your skin. Face is "baby smooth" the next morning... I just stocked up and bought 3 jars after my 1st one. Ceramides in it work wonders. 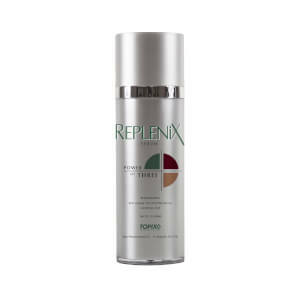 This is another great product from the Replenix line by Topix. The rich textured cream is not only hydrating but also full of beneficial antioxidants for your skin. I especially love the creative packaging. The jar top comes off to reveal another top that you push down to release the cream. 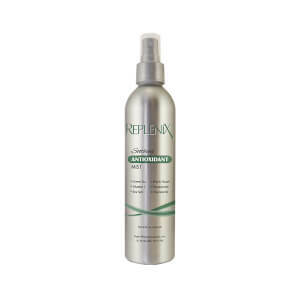 This helps protect the antioxidants from exposure to the air and germs. This cream is just the right consistency for use both day and night. Those with dry to very dry skin as well as sensitive skin will not be disappointed.